Just minutes away from the heart of Duke’s West Campus, one can venture through a forest teeming with primates rarely seen outside of their native land of Madagascar. Currently, the Lemur Center has the most diverse colony of lemurs outside of Madagascar, with 246 individuals representing 20 species, Animal Curator Andrea Katz said. The species include 16 types of lemurs, three loris species and bush babies. Ring-tailed lemurs, sifakas and ruffed lemurs are most often used in research. The center’s primary objective is research, and conservation in Madagascar remains an important aspect of their work, Conservation Coordinator Charles Welch said. But the Center, which is now firmly established as a global leader in lemur research, started almost by accident. “It just sort of happened. It wasn’t really planned,” said Peter Klopfer, co-founder and professor emeritus of biology. Co-founder John Buettner-Janusch, who was then teaching at Yale University, visited Duke to give a lecture in 1965. After seeing the behavior station that Klopfer was directing, he asked if he could move his lemur colony to the area. The site in Duke Forest offered more space and a better climate than Buettner-Janusch’s station at Yale. Thus the Duke University Primate Center began. In 1966, Buettner-Janusch arrived with a collection of more than 200 primates, and he and Klopfer secured grants to build housing facilities and free-ranging enclosures. From the beginning, researchers conducted noninvasive behavioral research on the lemurs. 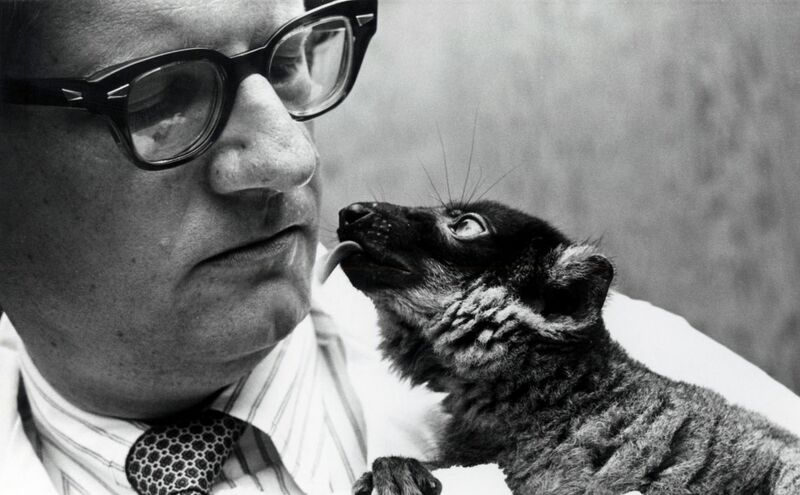 When the Lemur Center first began, government regulatory bodies like the federally-mandated Institutional Animal Care and Use Committee did not exist, Klopfer said. As government agencies started up, they didn’t distinguish between lemurs and other primates. For example, in order for fat-tailed dwarf lemurs to hibernate, they must be subject to temperatures as low as freezing and must be totally food-deprived for six months of the year, Klopfer said. These conditions cannot occur under IACUC rules, even though the animals will develop serious medical problems if they cannot hibernate. Free-ranging enclosures also posed a problem in the early years. Leslie Digby, associate professor of the practice of evolutionary anthropology, said the Lemur Center had to convince “the powers that be” that the lemurs wouldn’t accidentally poison themselves by eating poisonous plants. “They actually offered the lemurs leaves from poisonous species and leaves from non-poisonous species, and the lemurs always chose the non-poisonous ones, because when they sniffed them they seemed to already know,” she said. Despite the regulatory obstacles, the free-range enclosures allowed researchers to observe behaviors rarely seen in captivity, said Digby, who began working with the Lemur Center in 1994. At that time, the lemurs roamed in larger, less segregated enclosures than they do now. Because the enclosures provided few barriers between types of lemurs, some subspecies bred with each other, producing hybrid animals that would have never occurred in Madagascar, Digby said. Before the Lemur Center updated its fencing system, lemurs had occasionally escaped from their enclosures. One lemur traveled as far as Hillsborough, N.C.—more than 10 miles away, Klopfer said. Despite the initial trials associated with the free-range enclosures, Digby said the animals live in some of the best conditions in the country. Ken Glander, director of the Lemur Center from 1991 to 2001 and professor of evolutionary anthropology, helped bring wild lemurs from Madagascar between 1982 and 1993. Bringing in new lemurs to the colony introduced new genetic material, strengthening the population. 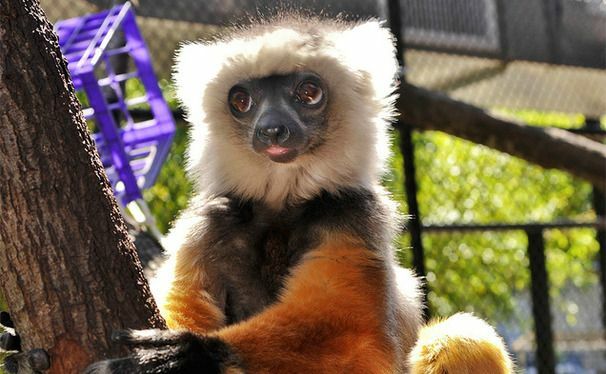 Before taking any lemur from Madagascar, the Lemur Center would secure import and export permits about a year in advance from the United States and Madagascar, respectively, Glander said. They also needed authorization from the Malagasy government to take the animals from specific areas—unprotected forests that were either currently being destroyed or at high risk. Since the 1980s, import permits have become increasingly difficult to secure. Lemurs who had remained in the now-destroyed forests either died or moved to a different area, Glander added. During each expedition, the Lemur Center would capture an unrelated adult male and female pair of a single species. Glander said they would often catch three animals and release one because it was either too young or too old for the process. After capture, the lemurs were brought back in the airplane compartment usually reserved for transporting pets, Glander said. They would then make a two-day trek from Antananarivo, the capital of Madagascar, to Paris, New York and finally Durham, N.C.
Digby noted that although the Lemur Center was successful in bringing animals from Madgascar, the best conservation strategies take place in their home country, not the United States. The Lemur Center no longer imports wild lemurs from Madagascar, and instead exchanges animals with other captive populations, Welch said. Many zoos and institutions justify keeping captive populations by hoping they will someday be reintroduced, Welch said. Reintroductions, however, are costly and complicated to do correctly. When reintroducing an animal, the Lemur Center must ensure that it’s not carrying diseases and that it has a chance of surviving in the wild. In 1997 the Lemur Center successfully reintroduced a group of five captive-bred black-and-white ruffed lemurs known as the “Carolina Five” to the Betampona Strict Nature Reserve in Madagascar. Glander, Katz and Welch were all part of the team that reintroduced the lemurs. Glander said the process of training and reintroducing the lemurs took about five years. They selected an intact social group with forest experience and taught the lemurs to forage for food and avoid predators. After they were released in Betampona, a Malagasy team followed the lemurs daily to ensure they were adapting to the new setting, Glander said. By 2001 a total of 13 black-and-white ruffed lemurs were reintroduced in the area. The reintroduction was largely a success, Glander said. Many of the captive animals mated with wild animals, diversifying the gene pool and strengthening the population. Now, however, instead of reintroducing captive-bred lemurs, the Lemur Center and its affiliates focus on translocation, Welch said. Translocation involves taking animals from threatened fragments of forest and moving them to protected areas. These lemurs are generally more successful since they already know how to find food and avoid predators, skills captive-bred lemurs often don’t have. “If you want to breed and reintroduce, it makes more sense to do it in Madagascar,” Klopfer said. Although the Lemur Center currently houses 20 species, Anne Yoder, director of the Lemur Center since 2005, noted that there are some species that cannot be kept in captivity. The indri—the largest lemur species—requires more space than the Lemur Center can provide and has never been successfully kept in captivity, Welch said. One of the most difficult lemurs to keep in captivity has been the sifaka, a plant-eating genus of lemurs with extremely complex diets. One such species was the diademed sifaka. In a 1993 expedition to capture sifakas, Glander darted an adult female and found an infant—Romeo—clutching her stomach. They brought the mother, infant and an unrelated adult male back to the United States. The adults, however, died soon after their transport because it was too difficult to replicate their wild diets. Romeo was young enough to adapt to a captive diet, but remained the only one of his species at the Lemur Center until he died in 2012. Glander said although Romeo’s individual story was one of success, the Lemur Center eventually decided not to bring more of his species from Madagascar. “Romeo’s species seemed to be doing all right in the wild, so it makes sense to focus on other species that are not,” Glander said. The Lemur Center has successfully raised other sifaka species, like the Coquerel’s sifaka. They are also the only institution to successfully breed and maintain a colony of aye-ayes, a nocturnal lemur species, Klopfer said. Currently the Lemur Center is involved with two facilities in Madagascar, Welch said. He oversees all conservation programs in the country, and helps facilitate DukeEngage projects and field-research conducted by students. Welch and his wife Katz began conservation work in Madagascar in 1987, and spent the next 17 years in the country running various projects for the Lemur Center and the Madagascar Fauna and Flora Group, a consortium of zoos and institutions that are interested in supporting conservation. The Lemur Center also began the SAVA conservation project in northeastern Madagascar. The Lemur Center had been working in Madagascar for a number of years when the Malagasy government asked Duke to help them in Parc Ivoloina in 1987. Parc Ivoloina was originally a site where the Malagasy government housed confiscated lemurs, but had evolved into a zoo throughout the years. Because of political problems, an increasingly poor government and a devastating hurricane in 1986, the site was in disarray when Katz and Welch arrived. The center could not release the animals into the wild because of their unknown medical histories and potential to spread disease to healthy wild populations. “We have the capacity here in the United States at the Lemur Center for medical and veterinary screening that they don’t have for humans, much less animals, in a place like Madagascar,” Welch said. Now, these centers facilitate research and conservation through education. They help in reforestation, sustainable agriculture, training programs and other educational areas, Welch said. 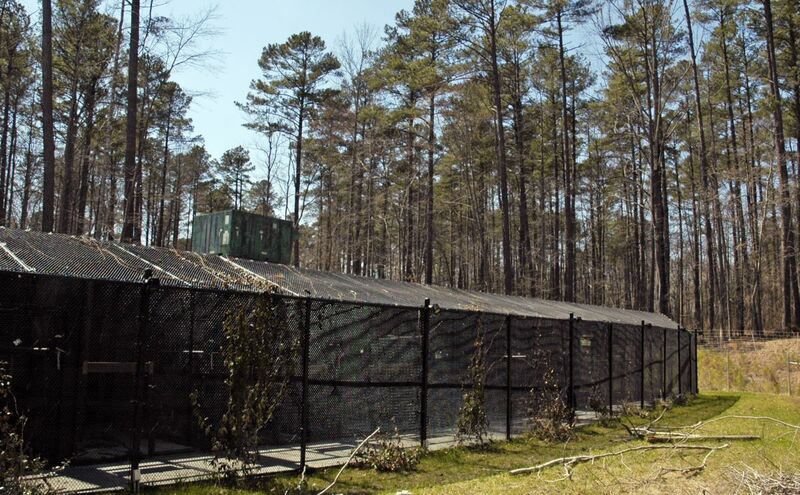 Since the beginning of the Duke University Primate Center, lemurs lived in the woods year-round and self-regulated their use of heating areas. 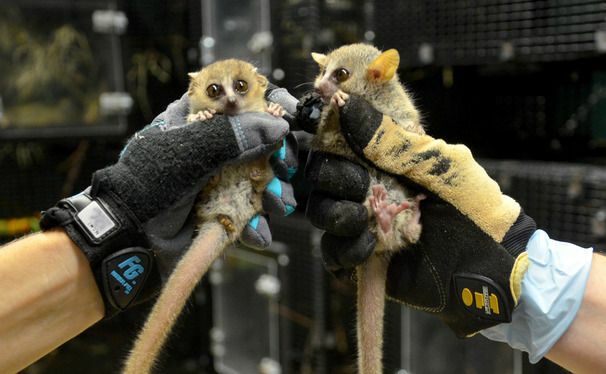 In 1996, however, two lemurs died of hypothermia, Yoder said, bringing facility issues to the forefront and causing a rapid decline for the center. In the early 2000s, the Duke University Primate Center was on the verge of shutting down, she said. The government and other regulatory bodies forced it to reduce its colony size from almost 800 animals to less than 300 by putting the females on contraception and loaning out other animals to zoos. Yoder’s first action as director was to change the name from Duke University Primate Center to Duke Lemur Center. The University also invested $10 million to build two new buildings and update existing infrastructure, improving the quality of life of the animals and guaranteeing their protection from the elements, Yoder said. Now the numbers of students and researchers who work with the center has increased, and they continue to study the lemurs in a naturalistic, non-invasive setting. Digby said she enjoys teaching the undergraduate field biology class because working with the animals is different each semester, creating an intellectually challenging teaching environment. She added that the Lemur Center has been much more welcoming to researchers than other institutions.